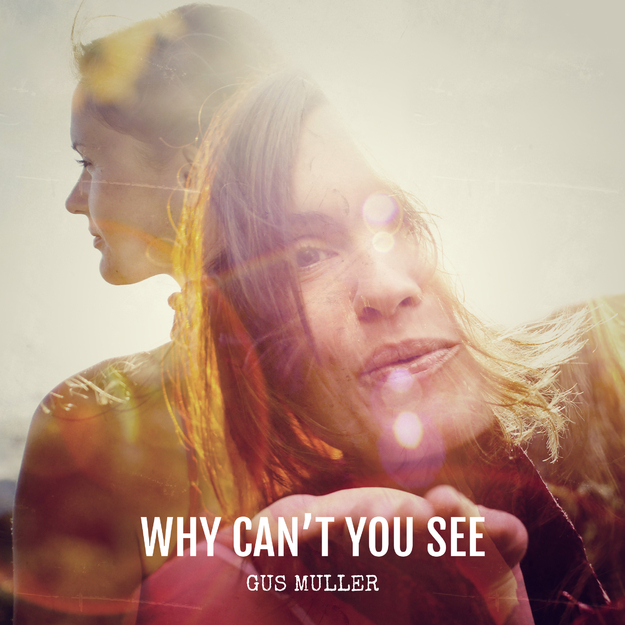 New release "Why can't you see" from Gus Muller is avaliable at Spotify and other major streaming services today! "Why can't you see" is a song written and recorded by Gus Muller and produced and mixed by Micke Moberg at MiMO Sound Records, in Mickes fantastic new studio hanging on a wooded slope just south of Stockholm. The song is the sixth singel from Gus Muller. A Spring sunday we had our oldest son and his family here at home. Our two grandkids noising around as only kids can, but apart from that it was a slow sunday. Any way, sitting in the sofa this sunday I took out the guitar and started strumi´n. Old chord progressions. I put a B7 chord in and it sounded nice and almost new. My oldest said at dinner "-It´s so nice when your just slow playing your guitar when we are here". So..... I thought, he liked it! B7 chord and everything! Next day I started work. I didn't take long to find the melody. But lyrics. The song came out a kind of English Pub sing-along type of song so something pubish? Or something from a pizzeria, may be? I met my girlfriend in a pizzeria, 18 years ago. Yeah I know.. pizzeria, romance ehee? But I remembered how it was meeting her there. Everything was just great, she accepted my moves, and sent all that small signals and glances back to me. It was going great! But, I suddenly realized, she was already married ... to him. I had been prick teased! Well as you understand she eventually got rid of the old guy and hooked up with me. A new....old guy. I remember how it felt and how wrong I read her message to me. So this became the lyrics for the song "Why can´t you see".